World’s N01 Green Reading Instruction continuously progressing every day thanks to the founder Mark Sweeney and his closest associates. Because we are all together one big family cooperation is not a problem, so I can with pleasure and joy to announce Jamie Donaldson from UK will be a guest in Zagreb on April 26-27. Jamie is the closest associates with Mark and Aimpoint pioneer in Europe. With a lot of experience in working with many professional players, we can guarantee two very exciting and interesting days at G & CC Zagreb. Within two days we will organize several clinics. AimPoint Express 1&2, Aim & Speed, Personal Calibration are on the menu. 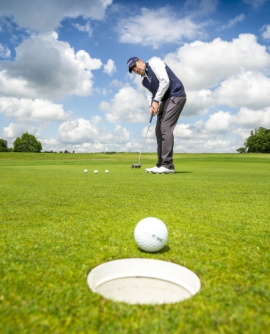 Jamie was definitely the biggest Aimpoint name that was on our golf club, and it certainly gives the information that I am well-educated and that all my Clinics are running by the highest AimPoint standards. I look forward to receiving your application on darko.ljubanovic@pga.hr.